Champions aren't born. They're made!! Smash Hit with over 10 Million Downloads. "Game looks fun as hell." 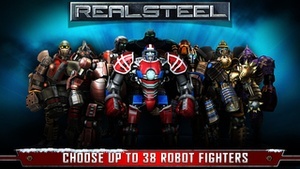 iPHONEPPREVIEW "Real Steel is a solid winner." 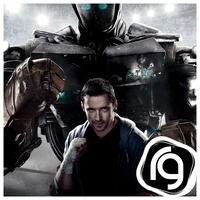 Based on the Dreamworks movie, starring Hugh Jackman, the gritty action of Real Steel takes place in a secret world where boxing has gone hightech in the notsodistant future. 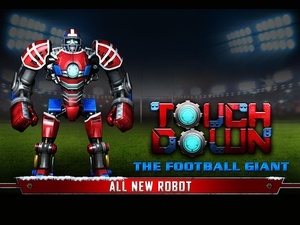 Players lead their robot to greatness, fighting off steel opponents weighing over 2,000 pounds and reaching up to 8 feet tall. 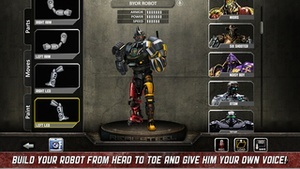 Real Steel features rich gameplay and high replay value including new Tournament and Survival Modes. Choose your fighter from a selection of 38 Robots! Including Movie Champions tom & Zeus! 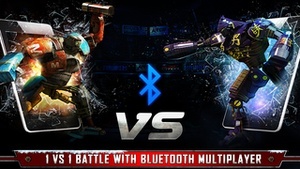 Choose from Tag Team, Challenges, Tournament, Survival & Free Sparring to fight! 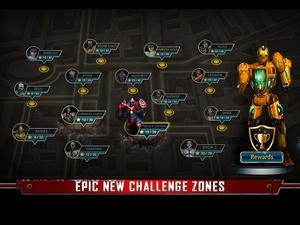 Unlock 9 Special Edition Robots for completing Each Game Mode! New Tag Team Mode 3 vs 3! 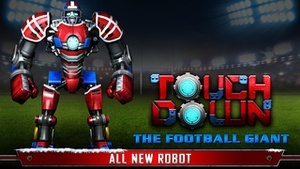 Build Customized Robots with your very own Build Your Own Robot Feature! 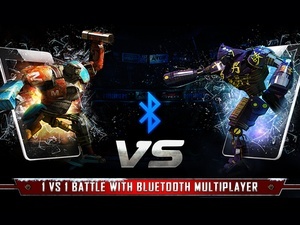 Multiple Battle rena Environments Be the first to know! 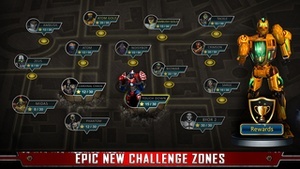 Get inside Reliance Games info on great deals, plus the latest game updates, tips & more… reliancegames.com twitter.com/reliancegames facebook.com/realsteelmobile youtube.com/reliancegames Check out more exciting games from Reliance Games like fter Earth, Total Recall, Electric City and more! For optimal performance, we recommend closing other applications and rebooting your device after downloading and starting your first boxing bout. 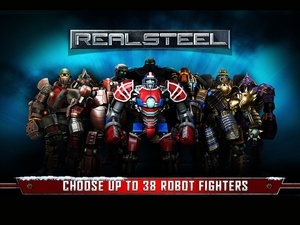 Check these links to find your download for Real Steel for & iOS or for your device iPod TouchiPadiPhone. 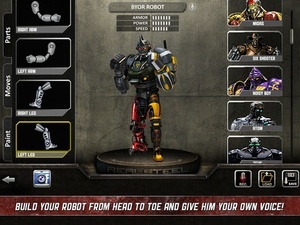 The app Real Steel is compatible with te following devices.